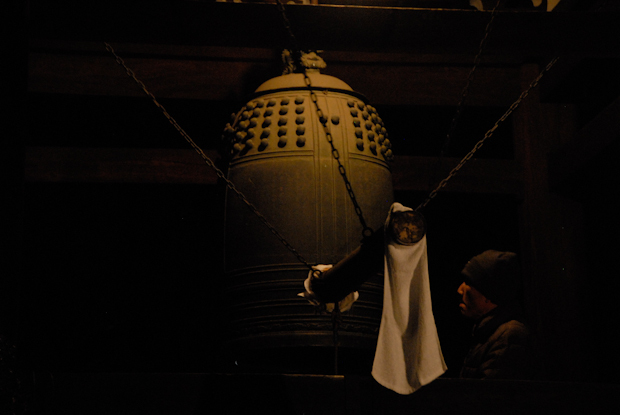 At New Years Eve people queued for hours to toll the bell at my local temple. I was one of them. When my turn came I tolled it with a friend. We had a sweet sake afterwards, close to a cozy gas heater.